Currently on the festival circuit, the award-winning “BOX” from Lee Thongkham is an edgy, taut psychological horror film worth checking out. 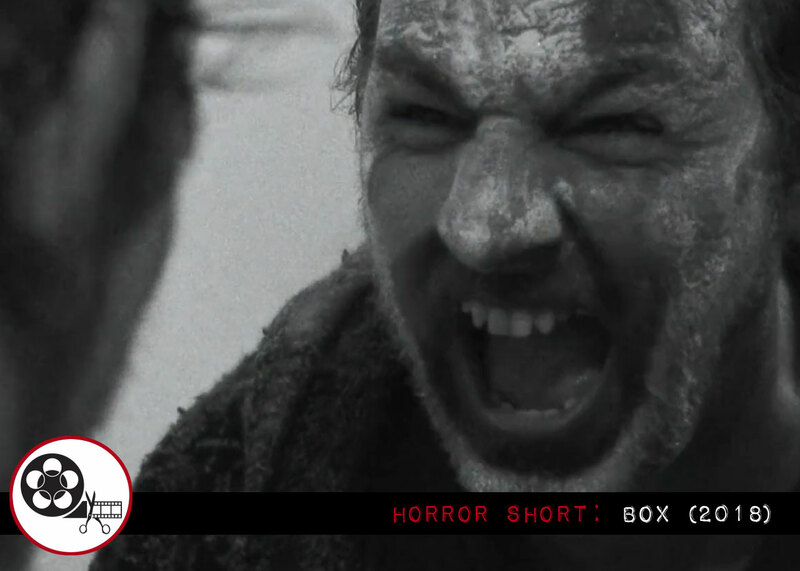 Written and directed by Lee Thongkham and starring Jimmy Dempster, BOX is a harrowing psychological horror story involving, for the most part, an unnamed man played by Dempster. Think CAST AWAY but not on an island, and a mysterious box in the place of a volleyball. The film begins with the unnamed Man in the backseat of a car, a mystery person driving the car. A clown mask, reminiscent of masks used in THE PURGE hangs from the rear view mirror. The scene ends with a brutal fight between passenger and driver, and the death of the driver. The Man disposes of the body instead of calling the police, and when he arrives at his home, he finds a box at the doorstep of his home. No note, no indication of who left it there, and there is no way to open the box. The Man, of course, brings the box inside. Once inside the house, indicating a kind of claimed ownership by the Man, the creeping horror begins. A voice begins to direct the Man. The question is, is it an inner voice, or is the box speaking to the Man? Thongkham effectively builds tension and mounting horror with sparse surroundings. The film follows one man’s descent into madness, and the box acts as a kind of judge. The mystery of the box and the nature of its demands upon the Man deepen and churn the imagination. BOX is a creepy, skin-tingling story reminiscent of Edgar Allan Poe’s The Tell-Tale Heart, and culminates in a twist that horrifies and saddens. The short has been making its way through the festival circuit, and has picked up a number of best actor and best horror awards, including: Los Angeles Cinefest (semi-finalist for Best Short-Film), Oniros Film Festival (Best Horror Film and Best Experimental Film), Fear International (Best Actor), and more. BOX will be screened at Hollywood South Film Festival, August 24 to 26 in Atlanta, Georgia.